Lost crystals + Ancient aliens hidden places + colorful puzzles. Need some kind of "First contact" feeling. This sort of this would also be great if it had a solar system level progression to it. For example in your initial solar system there is only one of these and it can only be found NOT on Terran. 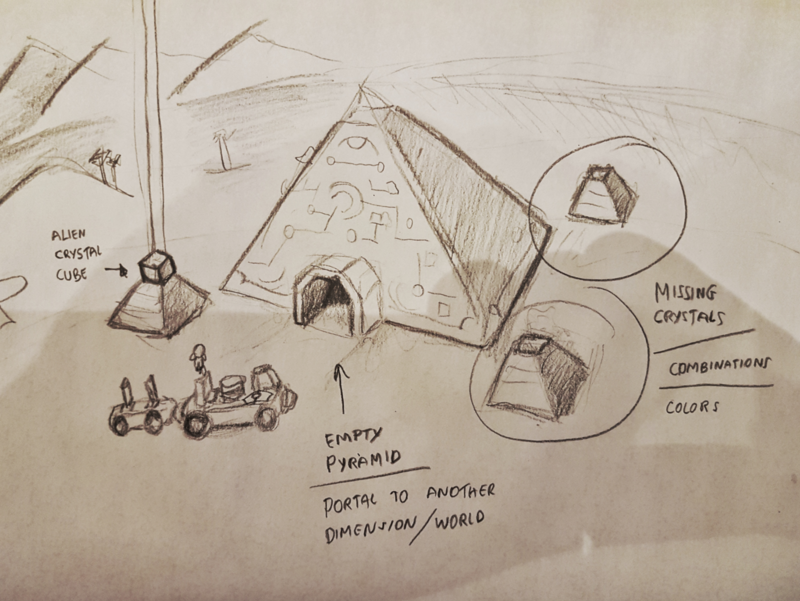 The Alien site could be critical in discovering "hyper launch" technology. I imagine the astronomers as sent out on slow or oneway trips to systems as explorers. Once you have built the "hyper-launch" gate you can connect back to the Astroneer "homeworld" or Trading post and learn of the much larger system of exploration. You can then also jump to new solar-systems which have small chances of having a planet that contains a higher tier Alien Artifact site. Perhaps there is a way to use in-game resources to "buy" information about potentially interesting systems at the Astroneer Trading post (see previous comments on the trading post and gates). However, getting to the distant systems should require too much energy to transport a whole ship without a "receiving" hyper gate, meaning you have to go in a "pod" much like the starting one and build back up to building a "hyper gate" in every system you explore (except for what fits in the backpack of your "crew" of friends). Puzzles to help access the artifacts you find or pick your next destination are obviously warranted. It would be cool for the lore of the game too. The glyphs in the ruins could point to something or tell a story of something we need to find out in space. Really depends on how much lore they want to put into the game.